Imitating the silhouette of classic English gents’ attire, the Bowler hat and cane design brings a touch of wit to the room. 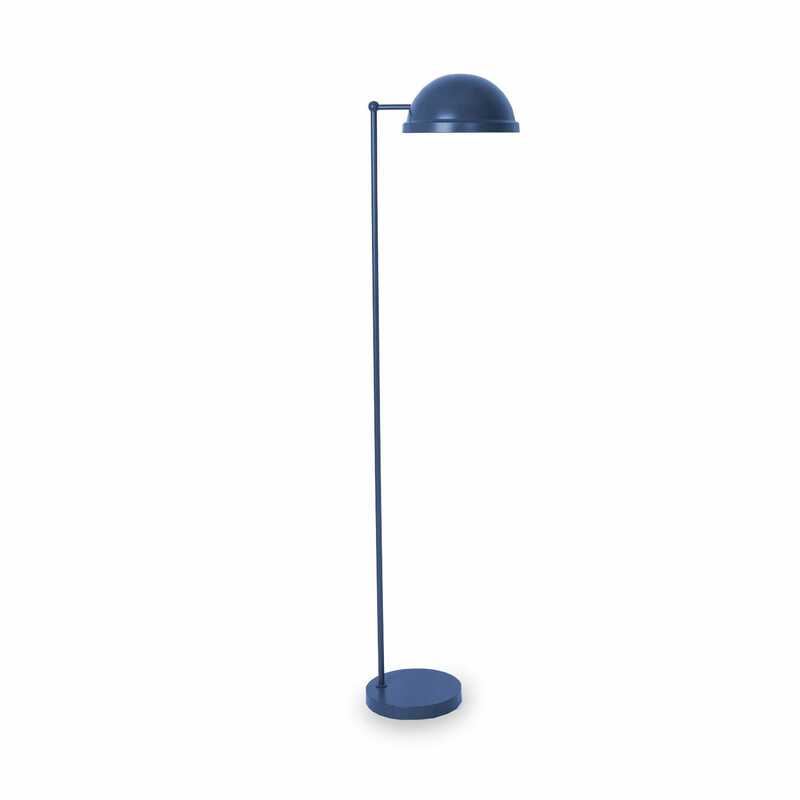 This dapper designed floor light features a tall, slender frame that neatly raises the domed directional shade high above the ground. Lamp looks great but the fitting inside is damaged - I have had to take it apart and bend bits with pliers to make it work ... I probably should have asked for it to be replaced but that was going to be more trouble than trying to fix it. Thank you for your feedback and I am very sorry to hear the item arrived damaged. Our returns and exchange process is fairly simple, just one call and we can arrange for a replacement and collection of any faulty goods. In future if anything like this should happen please call our team on 0207 896 7451 and we will take care of any issues with your order. I bought this lamp on line and only when it was unpacked found out that the bulb specification was 25watts - this is not bright enough for the purpose. There was nothing on the technical specification on line to indicate this. Whilst I liked the design, I thought the finish on the lamp looked a bit like... Read More. I bought this lamp on line and only when it was unpacked found out that the bulb specification was 25watts - this is not bright enough for the purpose. There was nothing on the technical specification on line to indicate this. Whilst I liked the design, I thought the finish on the lamp looked a bit like plastic and did not justify the £200 price tag, so it went back.